Delta Air Lines is all set to make its comeback to India, with nonstop flights from the United States in 2019. Earlier this month, the Atlanta-based airline announced to return to India, with nonstop flights from its hubs in the United States, including Atlanta (ATL), Detroit (DTW), Los Angeles (LAX), Minneapolis (MSP), New York (JFK), Seattle (SEA), Salt Lake City (SLC), and New York (LGA). Initially, Delta will operate nonstop flights to Mumbai from USA in 2019. It may fly nonstop to other major Indian cities. Notably, Boston, Cincinnati and Raleigh are the focus cities for Delta Airlines’ flights within the USA. 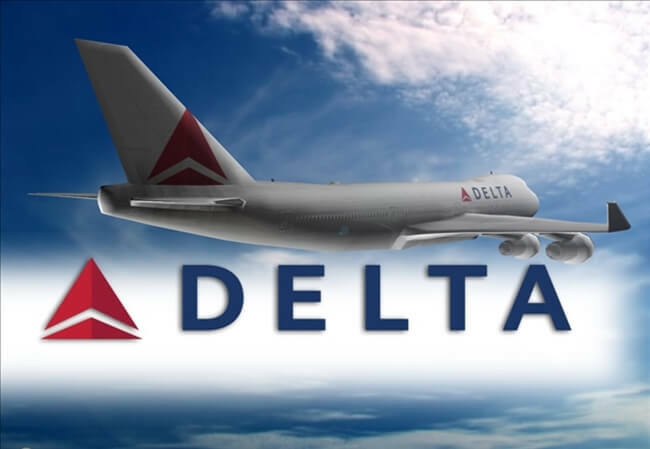 Delta flights from New York to Mumbai (BOM) had been operated until the airline was forced to exit the Indian market due to highly competitive fares from the Middle East’s subsidized airlines including Etihad Airways, Emirates and Qatar Airways in 2008. The recent open skies agreement between the US, the UAE and Qatar government, having resolved the issue of government subsidies for the Middle East airlines has removed the roadblock for direct Delta flights from USA to India. In 2009, Delta Airlines withdrew its Atlanta to Mumbai service due to stiff competition from the Gulf airlines. Thereafter, Delta started flying to Mumbai from Amsterdam, the hub of its codeshare partner KLM and continued it until early 2015. American Airlines too rolled in its service to India in 2012. All these years, United Airlines has been the sole US carrier to have had its presence in the Indian market with daily flights from Newark to Delhi and Mumbai, having no competition from any other US airline. Mumbai being a prime business destination in the Asia Pacific region is a good pick for the upcoming nonstop Delta flights from USA. Since business travelers prefer nonstop flights, Delta is expected to compete successfully with Air India’s Newark to Mumbai service and United Airlines’ Newark to Mumbai flights in terms of business class airfares to Mumbai. In terms of convenience and travel time, Delta can give a stiff competition to Emirates’ nonstop Newark to Dubai service with one-stop access to nine Indian cities. Delta’s nonstop flights from USA to Mumbai may also benefit those who travel to Ahmedabad via Mumbai. Atlanta being Delta Airlines’ main hub in the US, Indians in Atlanta will be looking forward to Delta’s proposed nonstop flights to Mumbai. However, the airline is yet to decide which of the US hubs will be its first gateway to India. The full schedule of Delta’s nonstop flights to India from USA will be revealed by the end of 2018. We at Indian Eagle expect Delta’s return to India to take the existing competition in the US-India air travel market to the next level. On the other hand, Air India is gradually cementing its footprint in the US with nonstop flights to India. The more routes, the more airlines, the more nonstop services and the more options will definitely benefit our customers with big savings on business class travel to India from USA in the coming years. Delta is also planning to provide seamless access to other major Indian cities through its codeshare partnership with Jet Airways, which is apparently subject to approval from Indian government. Will be good if Delta operates from Pittsburgh too to India. Great news. There is no direct flight from ATL to India currently and this is make our travel much easier. Also will stop qatar’ monopoly. ‘Southern US Hub of Atlanta’ to ‘Southern India gateway of Bangalore-Chennai’ Non-stop would be most sought after if a direct connection were to start. Delta should show how best ‘its southern hospitality’ can be best served by connecting the southern geographies of both the countries. Atlanta-Mumbai-New Delhi—Serves the Northern Sun. All the Best to Delta for its future flights to India! Delta please don’t omit or forget KOCHI (highest tourism & IT techno parks). When in 2019 do we expect to start by delta on BOM-NYC route at earliest? Great to hear. Looking forward when Delta flights will start from CLE—Cleveland Hopkins Airport and to Hyderabad (INDIA). It would be very helpful if Delta starts flights from Cincinnati to Bangalore and Cincinnati-Kochi (COK), Cincinnati-Calicut/Kozhikode(CCJ), Kerala, Cincinnati-Dubai/Abu Dhabi and then directly connecting to Kannur, Kerala, the latest brand new fourth airport in Kerala and Cincinnati to Chennai, Tamil Nadu, either Cincinnati to Hyderabad, Andhra Pradesh or Cincinnati to Mumbai. It would avail great choices for the expectant flying Indian diaspora, increase competitiveness and reduce the unavailability of direct or enough connecting flights from Cincinnati to India. Thank you Indian Eagle.